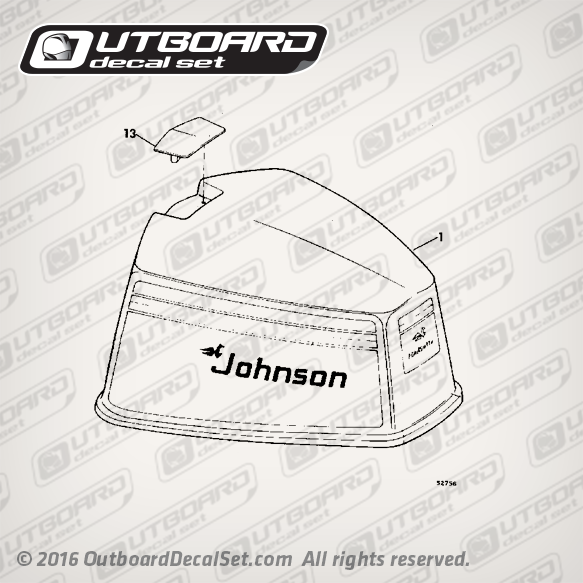 Decal set for a Johnson 35 hp mid 70's model: 135ESL75E, 135ETL75E MOTOR COVER. Referenced Part number 0387055, 0387056. 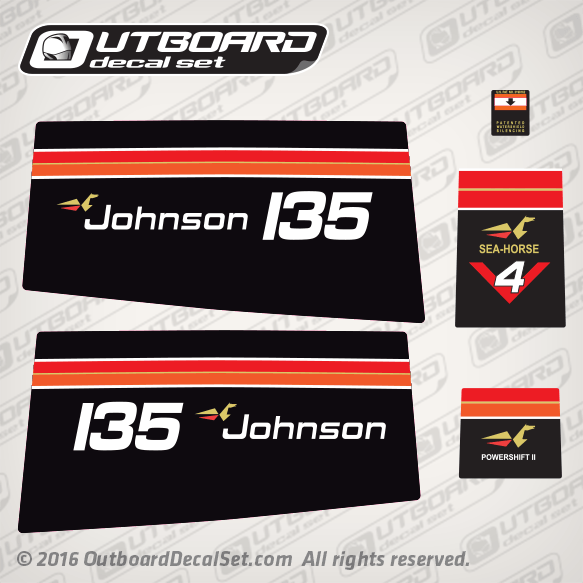 Johnson Sea horse powershift decal.